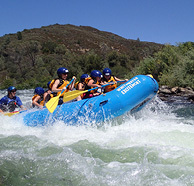 Description: Our Middle Fork American river 1 day trip is one of the best adventurous summertime day trips in California. 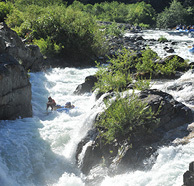 Combining thrilling white water with beautiful wilderness canyon beauty. 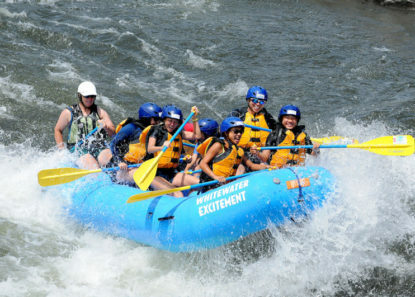 This trip is for adventurous beginners or experienced rafters who are interested in challenging some of the biggest drops we have. 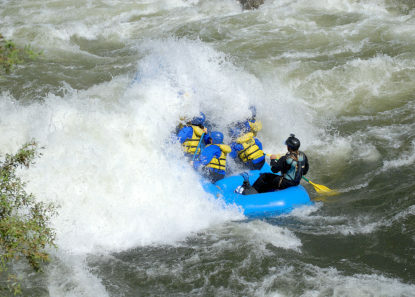 Right off the bat we hit “Good Morning”, a rapid that will drench you and give you a taste of what is to come later in the day. 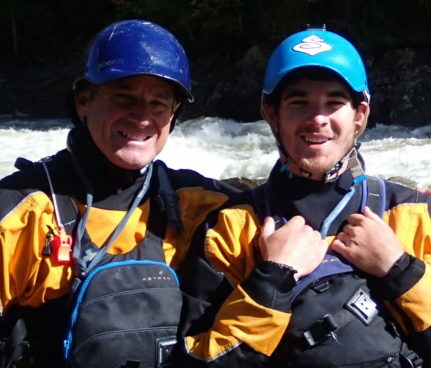 Of course, the famous “Tunnel Chute”, “Kanaka Falls” are just a few of the class IV rapids you will encounter on your Middle Fork American river rafting adventure. 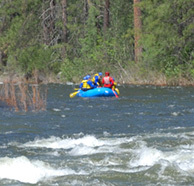 Itinerary: Our Middle Fork American river rafting adventure begins at 7:45 AM at our Auburn, CA meeting area, 10 minutes off I-80, where our guide staff will be there to check you in and answer any questions about the day’s activities. Once everyone is checked in we board our nice air conditioned vans and take a 45 min. very scenic drive to the launching area. At the end of the day, our vans will be waiting for you with cold drinks and snacks for the 15 min ride back to the meeting area, where again your guides will be there to thank you for coming and give you photo coupons good for money off your rapid photo purchase (if you wish).